Solar-electric deep space drive engines, according to Isaac Kuo at sfconsim-l, may soon achieve a power output density of about 400 watts per kilogram, when operating near Earth distance from the Sun. If you do not see what this sort of technical information could possibly have to do with so lovely an image as gossamer wings, you probably reached this blog by accident, have no poetry in you, or both. What makes it potentially relevant as well as beautiful is that 400 watts/kg is in hailing distance of the 1 kw/kg that Isaac and I independently chose as a benchmark for nuclear-electric drive, and generally as needed for relatively fast interplanetary travel. 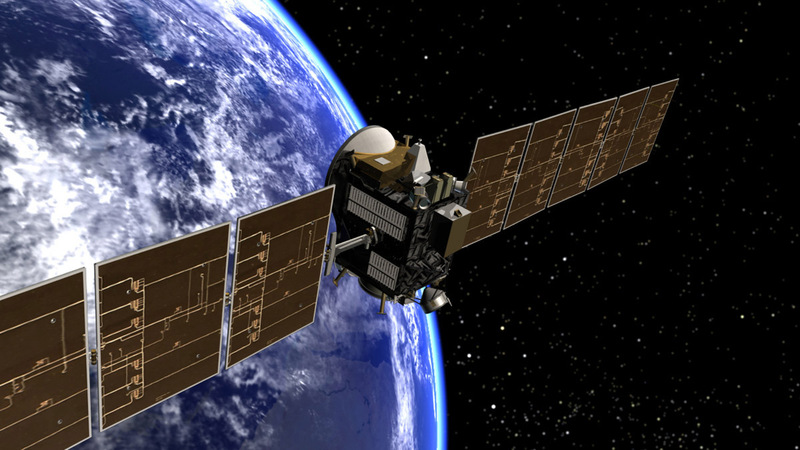 A spacecraft using solar electric drive can thus reach the same interplanetary speeds as its cousin, though it will take somewhat longer to reach cruising speed, and somewhat longer to slow down. It is a fair prospect that with a few decades' further progress, by the time we're actually building interplanetary ships the performance of the two drives will be comparable. This is a big deal, because solar-electric space drive is technically and operationally elegant, while nuclear-anything drive, and especially nuclear-electric drive, is not. A solar electric drive has almost no moving parts. A nuclear-electric drive has lots of complex internal plumbing to draw energy from the reactor and incidentally keep it from melting. This plumbing operates under very nasty conditions, radioactivity being nothing to sheer high temperatures. Plumbing is a big part of what makes spaceships so expensive, because it is complicated, full of parts that can jam, and as there is never a plumber around when you need one, it has to work perfectly for months at a time. (Even if you have a plumber in the crew, taking a nuclear reactor apart en route is a pain.) Robinson's Second Law: For each gram of physics handwavium in futuristic space tech, expect about a ton of plumbing handwavium. Nuclear drives are also full of nasty fissionable stuff, tricky and dangerous to work with, requiring heavy shielding to get anywhere near (and radiation goes a long ways in space), requiring extreme security measures in handling and storage, and socially uncomfortable no matter how careful your procedures are. In short, anything that gets rid of nuclear reactors in space is a huge plus on every level of operation, from spacecraft construction and maintenance to obtaining funding. Solar electric drive with comparable performance banishes nuclear reactors from the inner Solar System. You don't need them for travel, and you certainly don't need them for anything else, because one thing the inner Solar System has an ample and endless supply of is sunshine. Those skies are never cloudy all day. Solar electric power does gasp for air, or for sunshine, as you move outward from the Sun. At Mars, thrust is about half as much as near Earth. In the asteroid belt it is about a fifth to a tenth, at Jupiter one twenty-fifth, at Saturn one percent. To give this some context, a one-milligee drive, baseline performance near Earth, nudges a ship along at about 1 km/s per day, reaching orbital transfer speeds in a week or two. At Jupiter, the drive delivers some 40 microgees, and a ship puts on about 1 km/s per month, thus the better part of a year for orbital transfer burns. The time lost due to sluggish acceleration is only half as much, some six months, and a Jupiter mission would likely be upwards of a year each way even for a nuke-electric ship. So until we have regular bus service to Jupiter, the time cost is not dreadful. The inner Solar System, through the asteroid belt, can be efficiently traveled by solar-electric drive, which ought to hold us through this century and into the next. The drive engine we make an advanced one, meeting the baseline standard of 1 kw/kg. Thus rated drive power is 100 megawatts. If the exhaust velocity is 50 km/s (specific impulse ~5000 seconds), 80 grams of propellant is shot out the back each second. Thrust is 4000 Newtons, about 1000 lbs, giving our ship the intended 1 milligee acceleration at full load. Mass ratio is 1.6, so total ship delta v available on departure is 23.5 km/s, enough for a pretty fast orbit to Mars. We could 'overload' this ship with a much bigger payload, another 400 tons (thus 500 tons total payload). Max acceleration falls to half a milligee, and mission delta v to 10 km/s - still ample for the Hohmann trip to Mars, for slow freight service. Since we want to go there ourselves, we will stick with the faster version and configure it as a passenger ship. Each passenger/crewmember requires cabin space, fittings, life support equipment, provisions and supplies for the trip, plus the mass of the passenger and baggage - in all, say, about 3 tons per person, so our ship carries some 30-35 passengers and crew. The cabin structure of this ship might be about the size of a 747 fuselage, divided into berthing compartments or roomettes, diner/lounge area, galley, storage spaces, and life support plant. If the propellant is hydrogen, the tankage will be about the same size; if other stuff is used, the tankage will be smaller. All in all, the hull portion of our ship is comparable in size and mass to a jumbo jet. As space liners go this is a modest-sized one, as its modest passenger/crew capacity shows. Now, finally, the gossamer wings part. We accounted for the mass of the drive engine, including solar collectors, but have not yet looked at the physical size of the solar panals. They are big. Big. If we assume that about 35 percent of the sunlight that hits them is converted into thrust power, they capture some 500 watts per square meter at 1 AU - meaning that for a 100 megawatt drive you need 200,000 square meters of solar panels, a fifth of a square kilometer. This trim little interplanetary liner is physically enormous, or at least its solar wings are. The 'wingspan' might well be one kilometer, 'wing chord' then being 200 meters. In sheer size our ship is much bigger than any vehicle ever built (though freight trains can be up to about 2 km long). Angular, squared-off, an instrument of technology - but how can this ship be anything but a thing of beauty, an immense gleaming-black butterfly? If that is too fluttery, say a dragonfly, or to be prosaic an equally immense gleaming-black kite. Indeed the prototype configuration is much like a box kite, likely for later versions as well. The modest capacity of this immense little ship adds to the charm. With only about 35 passengers and crew this is no tawdry impersonal cruise ship. It all has somewhat the flavor of airship travel as we imagine it - perhaps encouraged by the zeppelin-like proportions of the vehicle, the gondola dwarfed by the feather-light structure that carries it. In early decades the ship will be much more utilitarian, a transport rather than a liner - don't ring for the steward; it's your turn in the galley. But if we go to the planets we will eventually go in liners. The scenery out the viewports* won't change much after the first week or so spiraling out from Earth. (In fact you probably ride a connecting bus up through the Van Allen belts.) By then it is time for reading, cards, conversation, and flirting, till Mars looms close and the ship begins its long graceful swoop down to parking orbit. * I disagree with Winch. All but the most utilitarian spaceships will have a few viewports, because while there is often nothing to see, when there is it is breathtaking. And fundamentally, why else are we going into space? A few comments about solar-electric vs. nuclear electric interplanetary spacecraft. 1) something that would tend to favor solar is that aluminized plastic is a lot cheaper per m^2 than any solar cell, so reflectors to concentrate sunlight on the solar cells would allow operation farther from the sun. 2) a point that would tend to favor nuclear, is that IINM radiation in space tends to degrade the performance of solar cells substantially over a decade or two. The reactors in nuclear submarines operate for 30 years without even refueling. Maintenance issues might favor nuclear. 3) I'm not sure what this favors, but the cheapness of a reflector compared to a solar cell has made me suspect that concentrating sunlight to run a heat engine, might beat solar cells for powering anything in space that has a crew that can do maintenance. OTOH that introduces plumbing issues. A further comment. If Bussard's Polywell fusion device works with the proton-Boron-11 reaction. That will make the whole discussion moot. The claim being made is that with that reactor the output would be DC electricity at about 2 million volts with 90+ % efficiency. Given that sort of performance a fusion powered electric drive would way out perform both solar & fission powered drives. There would be no need for either large solar arrays or large heat radiators. Bussard also saw a way to use an electron beam powered by his reactor to heat any sort of fluid to run a high thrust rocket with much greater exhaust speed than chemical rockets. Thus making single stage to orbit rockets easy. Jim - the arrangement described by Isaac Kuo involved concentration, but not by a big reflector - from any distance the collectors look like flat panels, but they are actually strip Freznel lenses that concentrate light onto the actual collectors. Nifty, huh? Nuke space engines, I believe, would have to be much more amped up than sub reactors, for minimum mass, using pretty high-grade stuff and needing more frequent refueling. But what makes me so eager to dump nukes in favor of solar isn't Nasty Fission but nasty plumbing. With solar the whole power generating side has nothing to break or jam, and doesn't even involve high temperatures or pressures. Even if fabricating the panels is expensive, spacecraft are expensive anyway. Jet planes cost about $1000/kg. Spacecraft aren't likely to be less, and the panels probably no more expensive than lightweight complex plumbing would be. I don't know this Bussard fusion drive. What is his day job, when he isn't inventing fusion drives? 'Traditional' fusion electric (reactor separate from the drive itself) is no better in plumbing terms than fission electric, because you still have to get rid of so much waste heat. A 'good' fusion drive, in classical terms, is direct drive, where the burnt fusion plasma is simply squirted out the back for thrust, and you only need to capture enough electric power to keep the fusion cycle running. But if a fusion power reactor is 90 percent efficient - thus only 10 percent waste heat - its heat management problem is comparable to direct drive. With that drive, you can whomp it up to about 5 milligees for fast, steep orbits in the inner system, or make a prolonged milligee burn to reach high transit speed for outer system travel. An elegant fusion drive surely blows away solar or anything else for fast travel, though solar electric may be a long term choice for inner system slow freight because it is nearly maintenance free. Solar-electric drives would appeal to commercal users for their lack of need for maintanance, and their low operating costs. For military (space guard) ships that need high velocity, nuclear-electric might be preferred. As far as Fusion drives go, the first one will probably use Helium 3, mined on Luna. Whether a direct drive or nuke-electric, fusion drives will be government operated until they become obsolete. And until, or if, nuke drives become as economical as solar-electric, for-profit interplanetary shipping companies will go for solar-electric ships in the inner system. In the inner system, the performance of the two types would be the same - even an edge to solar electric, if it is being actively developed while far fewer (if any) nuke electric ships are built. So long as patrol craft have more coast guard than military missions, most of them may be chemfuel types for local rescue. If someone is in trouble in Earth or Mars orbit, you can probably reach it faster with chemfuel than electric ships of any type that take a week to change orbit. In interplanetary space no fast emergency response is possible at this techlevel. I don't see why "the spacelanes" would be patrolled at all. Ships on an interplanetary trajectory can't stray off course, beyond that if the drive goes blooey during outbound acceleration it could leave the ship on an orbit to nowhere. In that case the only question is whether any other ship is positioned to make a rescue and then get anywhere itself. Widespread activity in the asteroid belt calls for some sort of emergency services presence, and that could be a place for nuke electrics, since solar has sluggish pickup out there. But by the time we need 911 response in the asteroid belt, we'll probably have fusion. Proviso to say that none of this means you can't have a good many nuke electric ships around in a midfuture solar setting. Just be mindful that they're likely to be competing in many roles against a drive with similar performance and much less cantankerous, and fiddle your setting details accordingly. OK re solar powered spacecraft: Isn't there a hazard of the sails being shredded by micro meteoroids or at least seriously compromised? And if not that, wouldn't there be a build up of dust on the sail, the equivalent of barnacles, thus slowing the craft down over the long haul? I think that for the first century (or less), of interplanetary travel, many different drives will compete. The ones that demonstate the best performance and cost effectiveness will win out over the others. My granddaughter might side in these ships! I believe a tiny electric charge would keep dust off of the solar pannels. The pannels themselves would be replaced on a regular basis. Anita - interesting question about dust. Does it stick, unless repelled as Ferrell suggested, or does it hit hard and pit the surface. Given the enormous size of the wings, they'll get hit by less micro bits that will punch holes. The beauty is, you can punch multiple holes big enough for Amtrak trains with no significant degradation of performance. No radiator fluid to leak! Ferrell - On drive types, especially considering that terms like solar/nuke-electric embrace a whole range of electric drives. I generalize them because these decisions don't drastically the nature of the ships, but obviously the details matter a lot to the people who operate them, refuel them, etc. 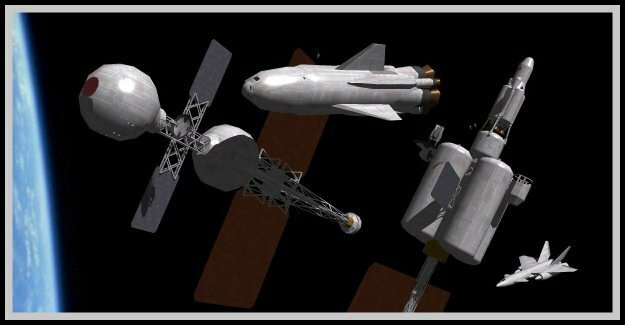 There's also the wide variety of spacecraft - we are biased toward big interplanetary liners and their military counterparts, the showboats, but only one perhaps fairly small component of space traffic. Finally, I think 'spaceship' will turn out to be more ambiguous than we think, because in space everything is moving, including space 'stations,' and they can also move under their own power. What do you call a space platform that spends most of its life in one orbit, serving a non-transport function, but every decade or two changes orbit or even goes to another planet? Station, ship, something in between? Maybe 'spacecraft' is a good generic term for any space platform, ship, satellite, probe, ect. Not only is it non-specific, it also has the advantage of being readily identifiable. Really it has already happened, because 'spacecraft' is the real world term. People romantically called Apollo craft moonships, but 'spaceship' may never jump from SF to actual space travel. If interplanetary transports are assembled out of modules on a per-mission basis - even if in practice they sometimes remained "coupled" through much of their service life - they probably won't be thought of as ships. The fresnel lens arrangement is rather neat, but I think movable reflectors would have a major advantage. Since the solar cell is more expensive than reflective material, you would want your solar cells to always be illuminated with the maximum power that won't cause overheating & degrade the performance. As the distance from the sun of your solar electric spacecraft changes you would need to change the arrangement of lens or reflectors to keep the illumination constant. I think this would be easier with reflectors than the fresnel lens arrangement. Re: heat engines in space & plumbing. I note that carbon nanotubes are claimed to have thermal conductivity over 10x higher than common metals. Using them in the radiator should reduce the amount of plumbing required. Re: Bussard. Until he died recently he had been spending the last decade or two developing his polywell fusion device. http://en.wikipedia.org/wiki/Polywell Somewhere I saw an article by him pointing out how useful it would be for space craft if it was developed. BTW this is the same Bussard as in Bussard Ram Jet. Carbon nanotubes, if they pan out, look to be the duct tape of space. Always keep a few on hand. I figured it was the same Bussard, hence my crack about what he did when not inventing fusion drives. He invented the Bussard ramjet long enough ago that it is in the class of techs I've 'always' known about. I'm assuming that aluminized plastic is both much cheaper & much lighter per m^2 than the solar cells. To maximize the power output from a given area of solar cells you concentrate the sunlight so that what is hitting the solar cells is almost the maximum W/m^2 that doesn't damage the solar cells. If you increase the distance from the sun you need more reflector material to collect the sunlight & concentrate in on the solar cells to maintain that same maximum design power. This would mean you are carrying some extra reflector material that is only used far from the sun, but if it is light enough per m^2 you still come out ahead. If you can get a 2 km diameter Mylar reflector to hold shape even approximately under milligee thrust, you could do both. The reflector doesn't need to be 'good,' because you're not imaging anything, just concentrating light onto a surface a few hundred meters across. The wings themselves are not just flat solar cells, but freznel strips, so in this case you have two stages of concentration onto the actual solar cells. For solar-electric ships operating in the asteroid belt or out to Jupiter, maybe you just sacrifice some payload to carry a couple of these big parachute reflectors, jettisoning them rather than trying to re-furl the things. Little operational subtlety: The ship rolls 180 to use them, the wing upper side facing away from the Sun, not toward it as in inner-system operation. Getting stuff off the Moon in large quantities requires a costly specialized transport infrastructure - high thrust lunar landers, mass drivers, or an elevator. The two preferable ones we not only have to build, we have to invent. Earth grazers require less total energy to reach and return. No lift cost, because for a 1 km asteroid escape velocity is walking speed. Solar power doesn't go dark for two weeks of every month. We always picture asteroid mining only in the asteroid belt, but that is one more way our perception of space was shaped in the rocketpunk era, when only one or two Earth grazers were known, and people just didn't think about them much. Wasn't one of the post-Apollo missions, (before the Shuttle killed it), a trip to one of the Near Earth Object(NEO's) asteroids? It seems like those would be good prospects for a visit from a solar-electric spacecraft. It would seem to be a low cost way to support an asteroid mine. "The scenery out the viewports* won't change much after the first week or so spiraling out from Earth. (In fact you probably ride a connecting bus up through the Van Allen belts.)" I wonder how the potential for laser-assist systems could affect the costs of a regular shipping run. If you're already using this technology than booster lasers could be useful, particularly if a vessel is out beyond Mars orbit. No speculation on nuclear-bomb powered drives (The most famous incarnation of the idea was the Orion drive). They sound totally insane until you read who was behind them, and how many physics awards they have, then you start to wonder.